An unusual climbing species of hydrangea. A cascade of white lacecap flowers in summer. Will cling to walls and tree trunks, great for that shady area behind the house. Slow growing, flowering often delayed until it reaches the top of the structure it is growing on. A species hydrangea from Quelpart Island in Korea. Grows as self-clinging climber, very similar to H. petiolaris, though with smaller leaves and overall growth. Smothered with white scented lacecap flowers in early summer. A great plant for those difficult shady sites. Slow to establish. 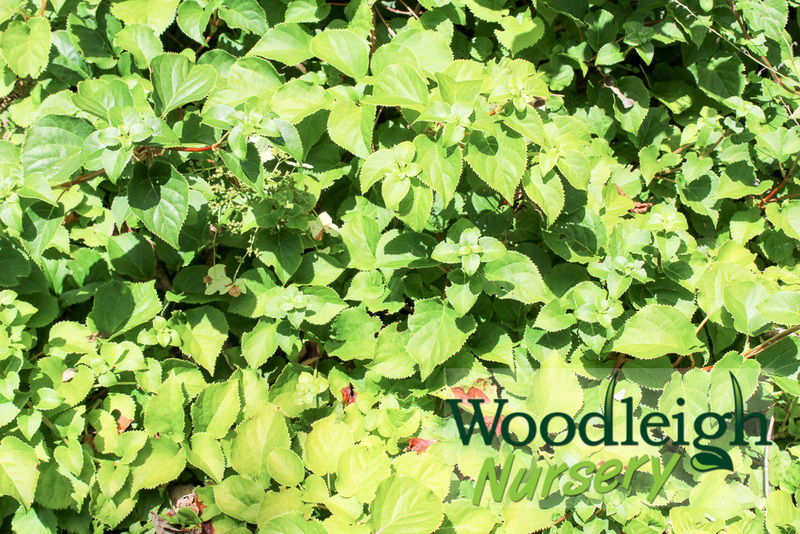 An evergreen, climbing hydrangea, with self-adhesive aerial roots. It has small white, fragrant flowers through summer, and small, rounded, dark green leaves. It will grow in shade, however will flower better if given some sunlight. Typically flowers when reaches the top of climbing frame. Giant honeysuckle. Worth having for the name alone. An evergreen climber for a hot spot with very large scented apricot flowers. Rare. Mexican Orange Blossom. An evergreen, climbing philadelphus! The creamy coloured flowers hang down and are lightly scented.